1) Forward calls to Skype accounts too. 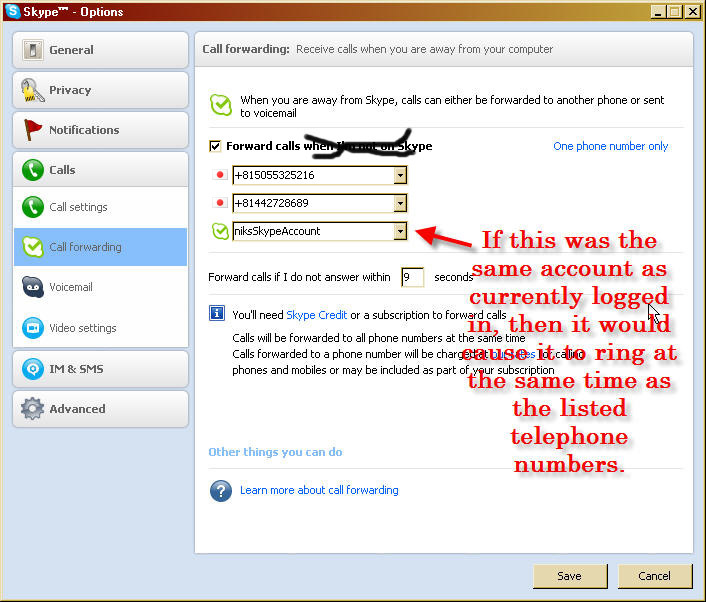 2) Have the Skype ring at same time as your?forwarded?phones? If the “niksskypeaccount” was the same account as currently logged in, then it would cause it to ring at the same time as the listed telephone numbers. Otherwise you could forward to “other Skype accounts” at the same time as well. ?Maybe your iPhone has another account, or you want to forward your calls to you VA (virtual?assistant) in India. My son watches this show Pokemon Sunday every week. ?It’s like a 30 min infomercial for pokemon products, with famous Japanese talents and comedy personality selling this stuff to my kids. ?Anyway, this morning I couldn’t help notice the striking similarity between this Gurogu guy (right) and Adolf Hitler (left). If you’re under13 years old, I’ll just tell you that Hitler was not a very nice man. ?He might even have been the baddest (worst) man of the 20th century….